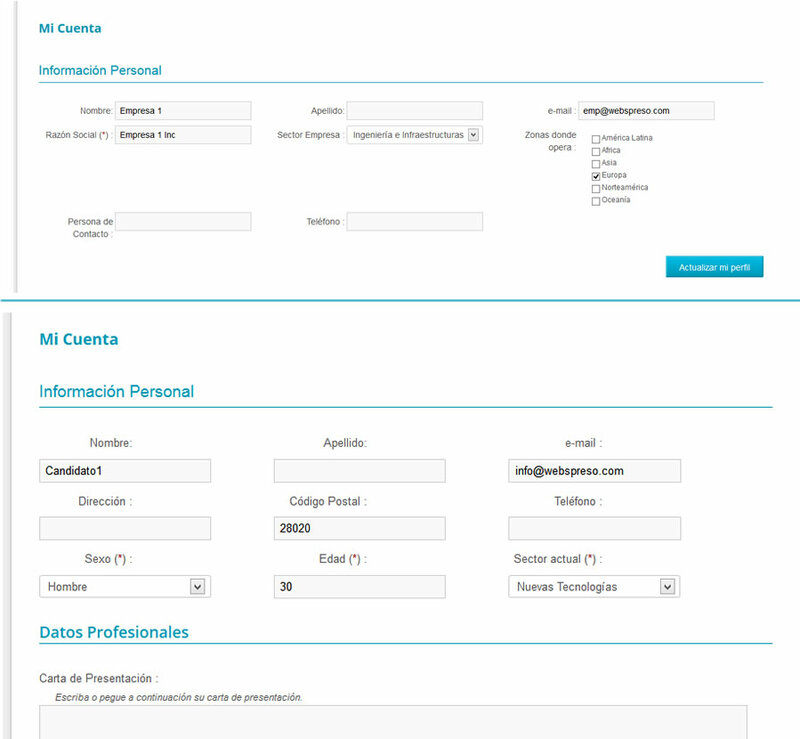 A system for managing human resources, with specific needs for companies and candidates. 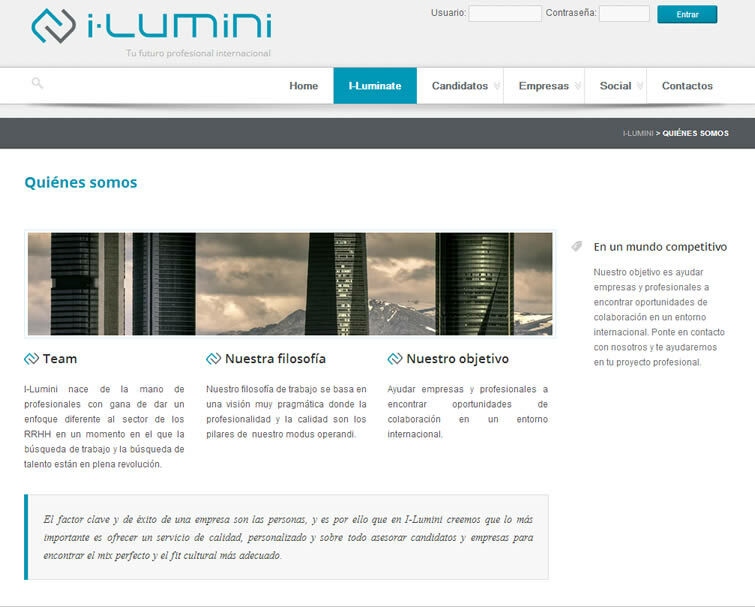 Logo creation for the i-Lumini trademark. 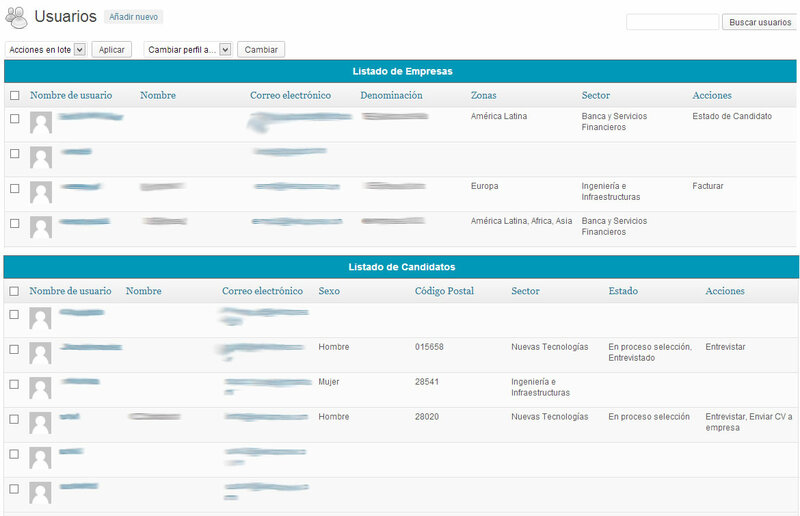 Enable different register and management screens for the two main target groups. 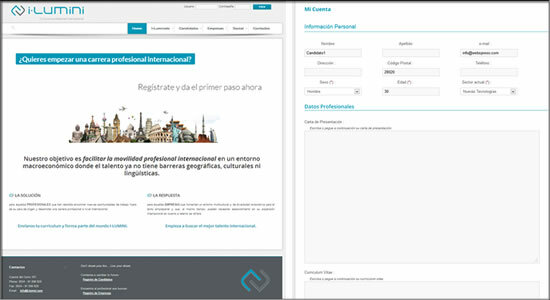 Web Design and Development over WordPress. 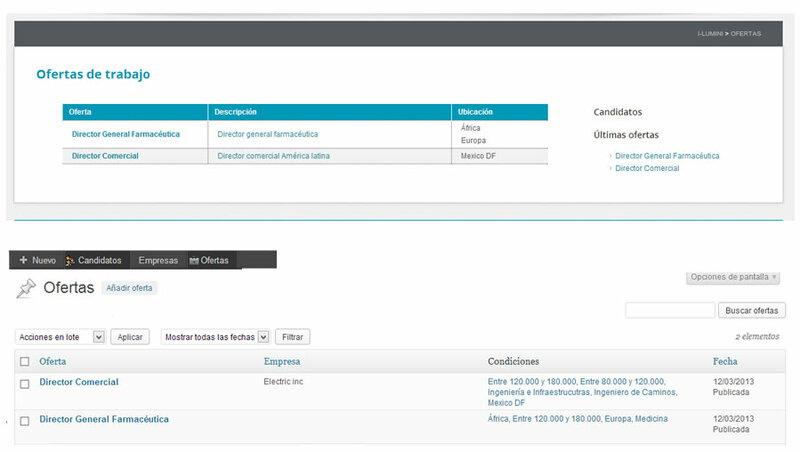 Platform Development for enabling specific content and data registered for each group: candidates and companies. Filters, listings and search options in the backend. 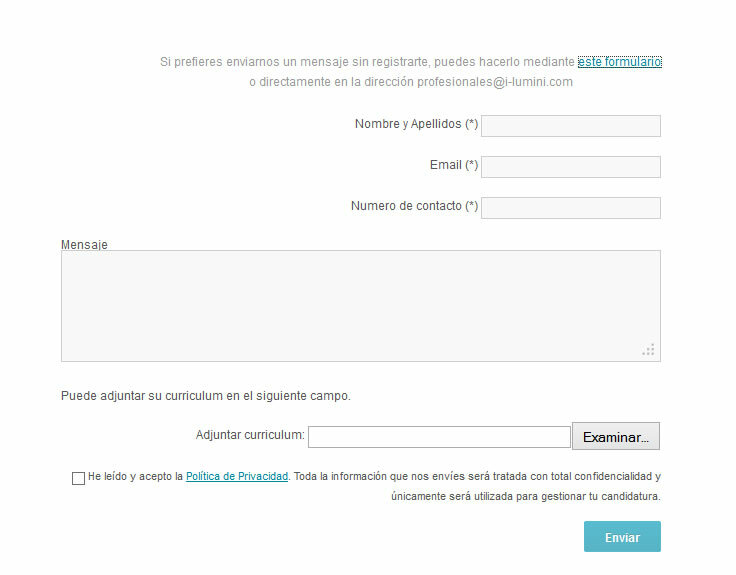 Programming of a section for managing and publishing job offers.